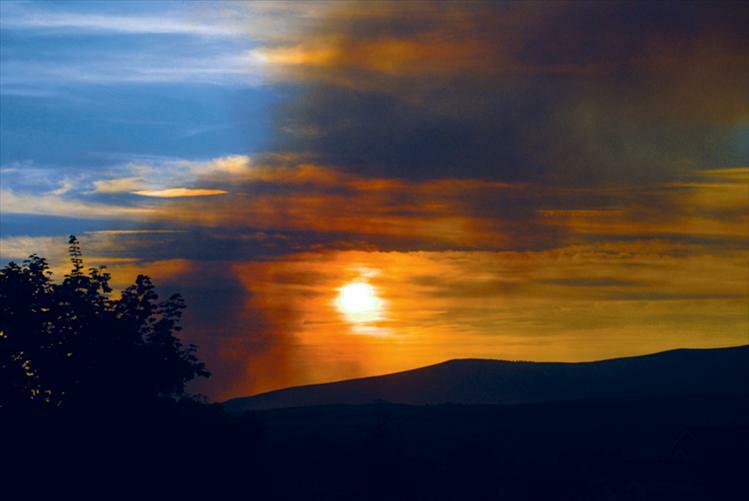 Smoke from the West Garcon fire spills over the foothills into the Polson area on the evening of Monday, Aug. 13. 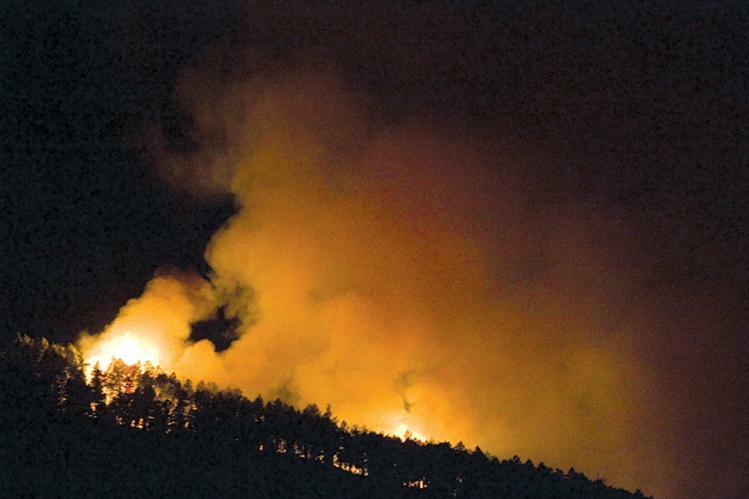 Flames climb a ridge in the Irvine Flats area Aug. 13. The West Garcon fire, also called the West Garceau fire, is burning roughly 15 miles west of Polson as seen in the red area of the map. 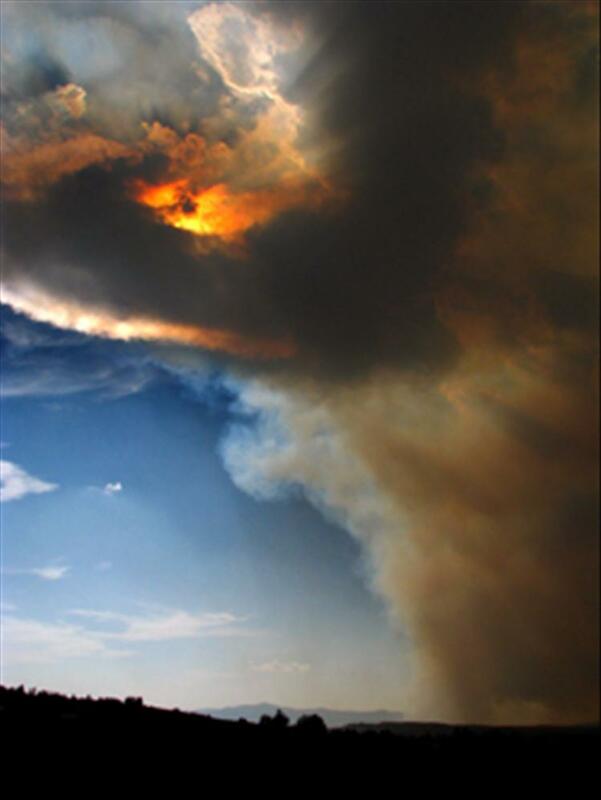 Smoke from the West Garcon fire blots out the sun Aug. 14 in this photo taken near the Polson High School sports complex. 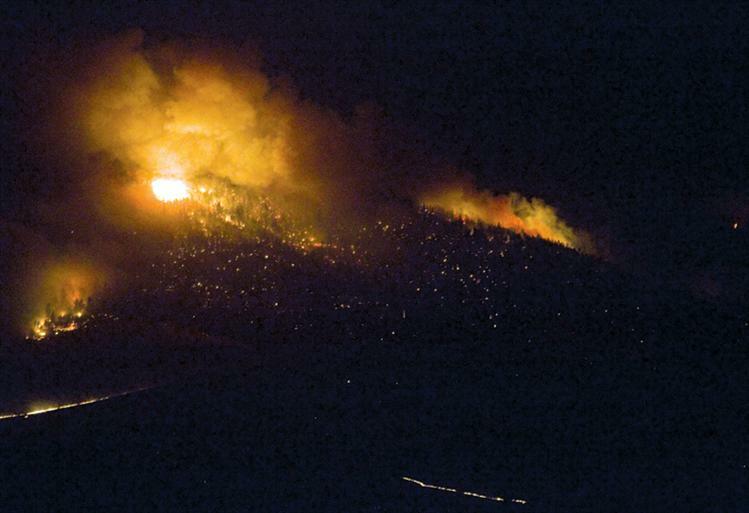 Fire rages up a mountainside in the Irvine Flats area Aug. 14. Smoke trails into the sunset in the West Garcon area.